VINTAGE COSTUME ANTIQUE ESTATE JEWELRY BROOCHES AND PINS! 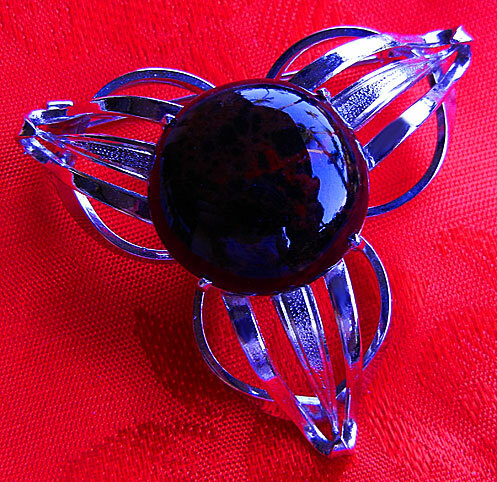 Art Deco Art Glass Stone Silvertone Vintage Estate Brooch Pin For Weddings, Proms, Pageants And Parties! 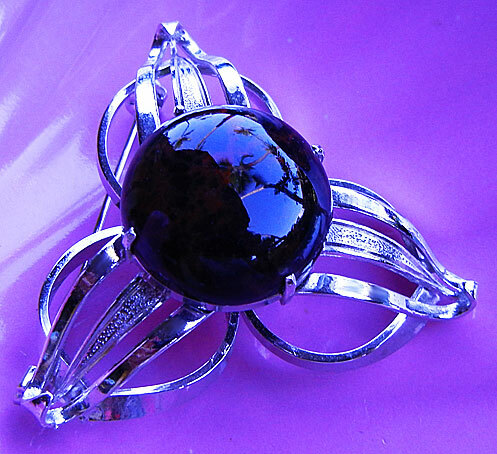 Item #P168420 - Art Deco Art Glass Stone Silvertone Vintage Estate Brooch Pin. A very well constructed Art Deco style vintage brooch featuring a 3/4" tall trio designed symmetrical dome and a lustrous large art glass prong set stone sitting prominently atop! The art glass stone measures generously at 3/4" in diameter. In a rare prestine condition! 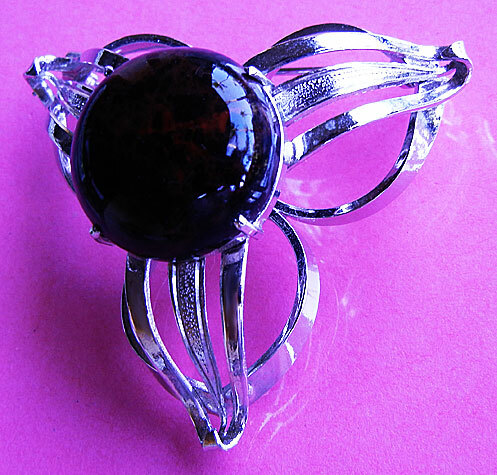 A fabulous brooch pin to wear at weddings, prom nights, pageants, parties, cruises and special functions! Price US$148.00.